Centrifugal casting occurs when molten metal is poured into a rotating mold. Centrifugal casting occurs when molten metal is poured into a rotating mold. Due to the nature of the rotating mold, this casting method only produces cylindrical shapes. Object sizes vary, but usually up to a maximum diameter of 10 feet (3m) and a length of 50 feet (15m). Semi-centrifugal casting is the same, but uses lower speeds. Centrifugal force is generated by rotational power. As the force is created by the container itself, it is known as fictitious force or inertial force. The force generated by the rotations pushes denser objects to the outside of the rotating cylinder. In science, centrifuges are used to separate dense liquids from lighter ones. After the centrifuge has been applied, the denser material will be at the bottom of the test tube. Casting is a manufacturing method used primarily with metal, concrete, plaster and resin. Film effect studios often use it with rubber to create prosthetic limbs. A mold is used to create an exact shape or form. The material is then melted into liquid form and poured into the mold. Once it has cooled, the mold is broken or opened and the product revealed. Small-scale centrifugal casting is known as silversmithing. This often involves the creation of small embellishments for jewelry. Silversmiths use the lost wax method of molding. 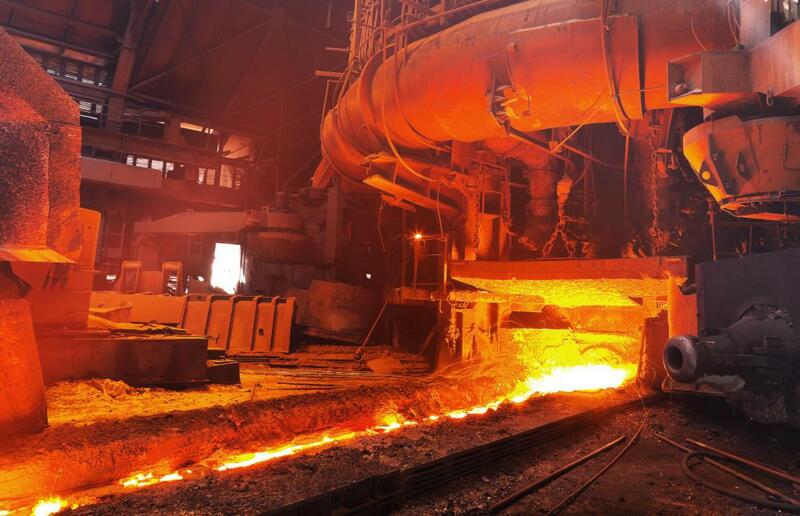 Small amounts of molten metal are poured from the crucible into a small mold set on a rotating arm. The arm is part of a vertical axle. Telescopic mirrors are made using small-scale centrifugal casting methods. By applying molten glass to a spinning mold, the final mirror has a more even spread. This means there needs to be less grinding once the glass has cooled. Other glass products such as marbles are made using centrifugal force. Large-scale centrifugal casting is called industrial casting. Such casting methods are used to create thin wall cylinders. Examples of products made on an industrial scale include pipes, boilers, pressure vessels and fly wheels. Molten metal is poured into a permanent rotating mold. The mold rotates at between 300 and 3000 rotations per minute (rpm). Centrifugal force throws the metal to the outer wall of the mold, while any impurities end up on the inside of the finished product. Finishing and machining then remove the impurities, providing a higher-quality product than other casting methods. The advantage of industrial-scale centrifugal casting is that there is no need for a mold core. Rotational force keeps the metal on the outside until it has cooled into place. As well as removing impurities, it produces an even thickness all round. Alloys such as copper and aluminum plus metals like iron can be used in centrifugal casting. Permanent molds can be used to mix metals as well. First, the smith pours in one metal or alloy, then he adds the next. This can be done to make two layers or to mix two metals together. In Manufacturing, What Is Centrifuging? What Is a Glass Crucible? What Are the Different Types of Centrifuge? What Are the Different Types of Casting Machines?